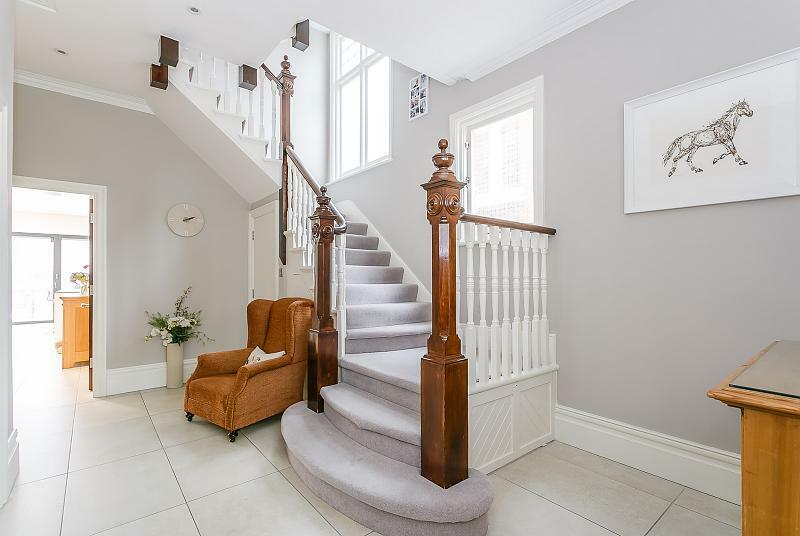 You enter the house through the original refurbished front door into the large bright hallway featuring the beautiful original staircase, porcelain tiles with underfloor heating which extend through the hallway into the Kitchen, dining and family area. 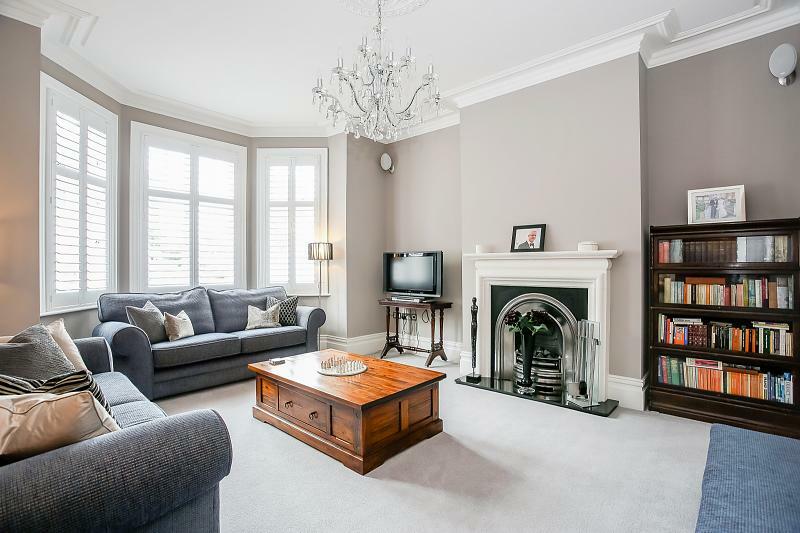 Immediately on your left is a well proportioned sitting room with feature fireplace with new gas fire and sandstone surround, bay window with fitted wooden shutters. The perfect room for adults to relax in the evening away from the busyness of the rest of the house. Tucked away on the right under the stairs is a useful downstairs WC whilst straight ahead you continue into the wow room of the house! Measuring over 30ft in depth and 18ft in width this space combines; a high spec Hcker kitchen with quartz worktops and Siemens appliances, dining area with over-head sky lantern for day-long sunlight and family seating area with modern gas flame fire and built in walnut storage offering you the perfect entertaining and family space to enjoy. A separate utility room accessed from the kitchen area with back door, sink, space for washing machine / tumble dryer completes the downstairs space. On to the first floor via the original staircase you find the Master bedroom with bay window and original restored Victorian fireplace. The smallest 5th bedroom is adjacent to this at the front of the house and is currently configured as a luxurious dressing room, although this could easily be restored to a single bedroom, nursery, office or a further bathroom. 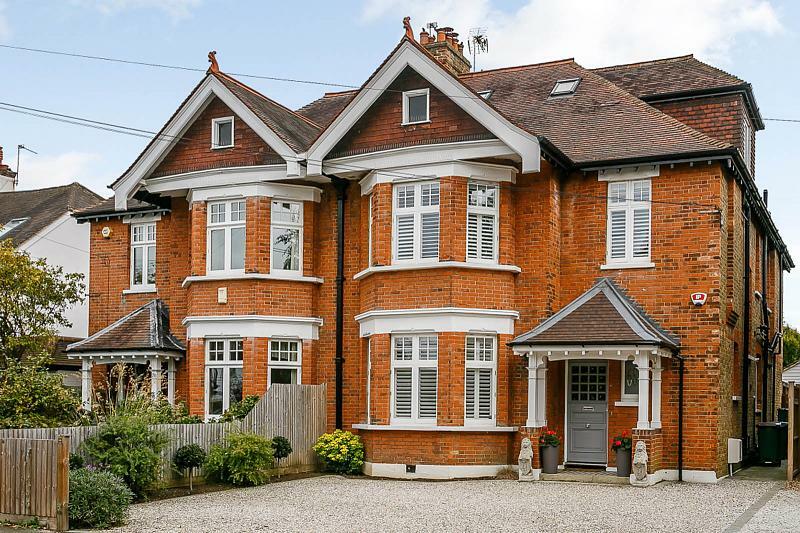 The spacious second double bedroom has two large sash windows overlooking the garden and fitted wooden shutters and is currently used as an office. The final bedroom on this floor is at back of the house, with fitted sliding door wardrobes and also overlooks the garden. The bedrooms are serviced by two newly fitted bathrooms designed by Aqua Bathrooms and both feature walk in showers, bathroom fittings from DASANI, Hans Grohe and Bette and are fully tiled with under floor heating. 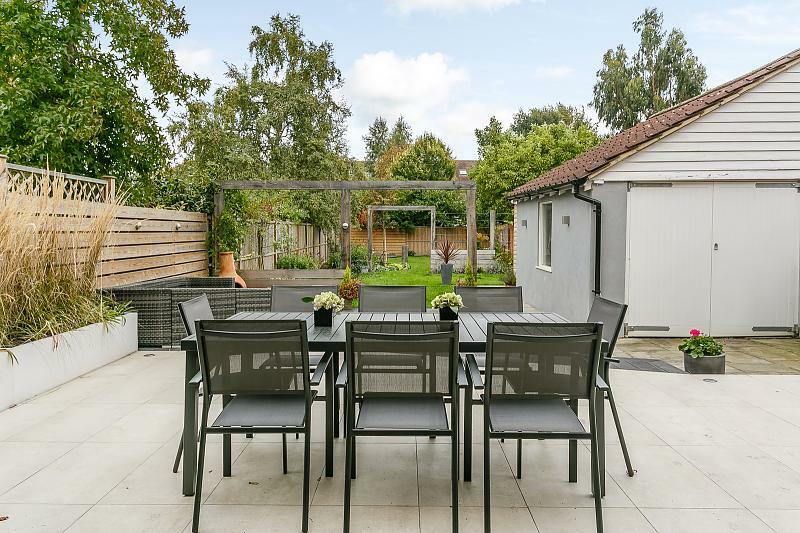 Continue up the stairs to the second floor to a further large double room with en-suite shower room, walk-in wardrobe and amazing views of the garden. 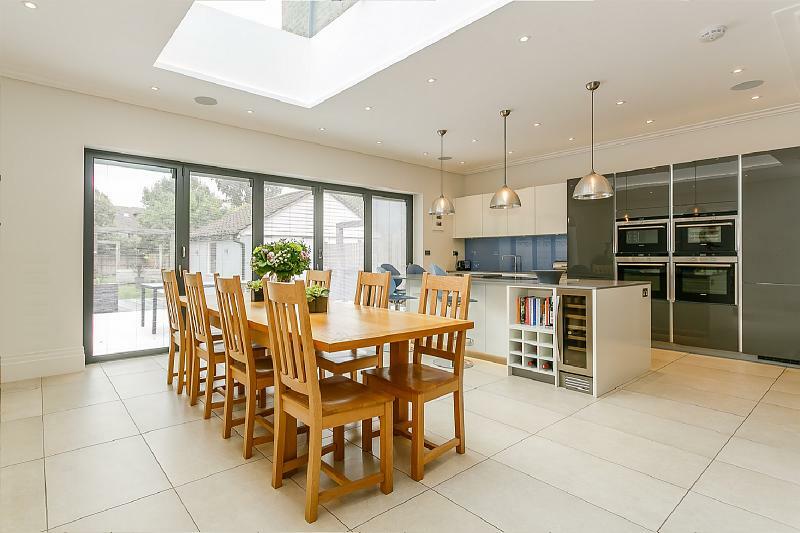 The house offers plenty of storage space with two extensive areas of loft storage one at the front of the house, accessed through the walk in wardrobe and the other at the rear of the house accessed from the second floor landing.